The concert was sold out, and it seemed that everybody showed up! That doesn't always happen in major metropolitan areas where traffic and weather sometimes keep people from attending. 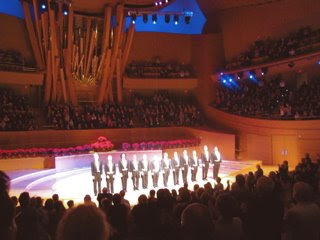 We've always enjoyed our performances here, but this one seemed special - a very very warm and attentive audience seemed to hang on our every note, and gave us a standing ovation.